With the dawawas Samsung Smart TV App you can watch all your photots in your comfortable living room. Just open the App-Store called Smart Hub on your Samsung-TV and look into the "Lifestyle" category. 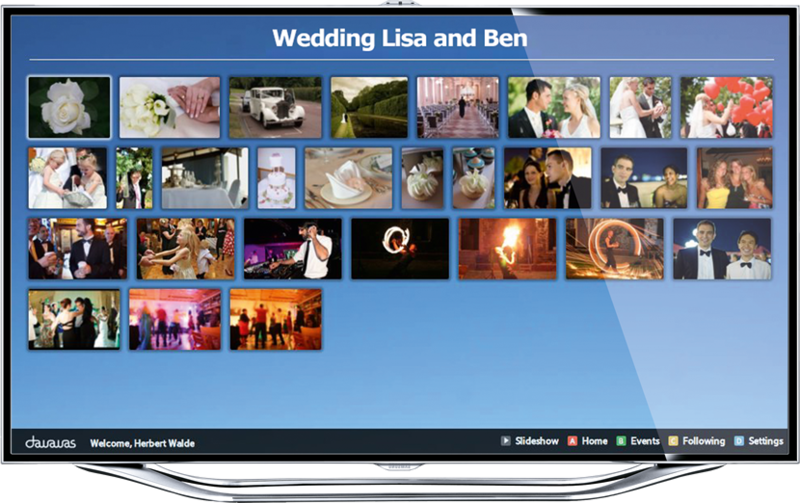 The dawawas App is available for Samsung Smart TVs produced since 2011.